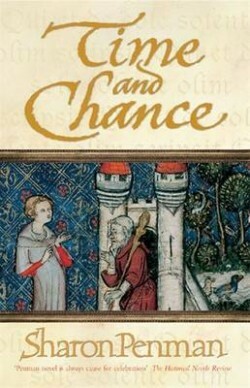 This is the second book in Sharon Penman's trilogy about Henry II of England and his wife, Eleanor of Aquitaine. Holding together a vastly spread kingdom, Henry raises his Chancellor and trusted friend to Archbishop of Canterbury. Thomas Beckett puts on the cloak of the most powerful religious leader in England and turns his back on Henry. Despite knowing Beckett's infamous departure from this life, the tension builds as the disagreements between these two powerful men unfold. What I particularly enjoyed in this and her previous book 'When Christ and His Servants Slept', is the addition of a fictional character - Ranulf. Torn between his loyalty to the English Crown and his Welsh family his plight highlights the political climate of the era. Sharon Penman adds flesh and blood to these shady historical figures and the Middle Ages emerge in full three dimensional colour. Her historical content is faultless and is paired with superb writing craft. Every word counts and she can convey so much in so few words. And best of all her characters leap off the page, full of life and breath and complex personalities. This isn't really my cup of tea but I do love complex characters who leap off the page. Sounds like a suspenseful read. My history reading challenge is going well, but have you noticed I've removed the Off the Shelf challenge? I've got so many new books I'd rather read! Naughty me. Good luck with all your challenges. Sounds like a really cool book! I love it when writers take historical fact and add new fictional characters to create a well-rounded story.